Fat Girl to Thin: Race Week/ Beach Week: Both Pretty Exciting Things!!! Race Week/ Beach Week: Both Pretty Exciting Things!!! Yippee! Race Week is officially here. I have been looking forward to this race since I saw it come up in the upcoming events. 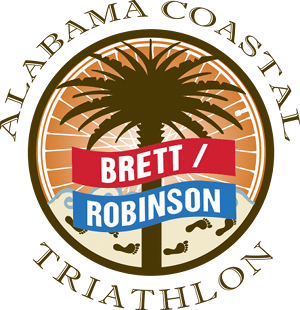 What better way to get a great workout, another chance at the Olympic length triathlon distance and a trip to the beach?!?!? I know this week I have to take it a little easier than normal but I'm not laying off as much as I normally would because shortly after the triathlon I have a Phase 3 Weigh-IN! I will take it easy towards the end of the week but until Wednesday Ive got to go full force. I had a semi-good weekend....I had a really good time over the holiday weekend and took my free day like normal, it just so happens that this weekends free day came on a birthday too so I had a few to many calories even for my free day. I ate cookie cake until I felt guilty, and then I ate a little bit more. But unlike how I used to work I know now that I screwed up and ate too much over the weekend so now I just have to let it go and get more on track than I was. You know, sometimes when you screw up its hard to get back on track (one bad decision tends to lead to another and another) but thankfully today I was ready for the structure and the food that my body craves to work at its best. Today I was back on track with my calorie intake and my calorie burn. I started the day with a 4.7 mile run, not the fastest or slowest, just a steady run/jog and a little bit of walking. I didn't do anything after the run except go to work. The work day scooted by today and before I could look up it was 5:10. That is always a great thing. After work I got home and packed up food and clothes right off the bat. I had a ballgame to get to and managed to get the bag and food done before I was out again for ballgames. I went ahead and wore my bathing suit to the game so I could go from the field to the pool. This will be my last long swim before the race but I will probably get in one more before race day. That's a great workout when prepping for a race cause its so easy on the joints. I also did my race distance in 30 minutes....I was hoping to get that down to 25 minutes before race day but unless I get 5 minutes faster before Saturday that's just not gonna happen. Tomorrow comes with another high intensity workout, weights and cardio and hopefully a long bike ride. Because I will be at the beach on Sunday I wont be at church so I don't have to go choir practice so I will have a little extra time tomorrow afternoon. That's a long sentence to say I'm not going to choir! haha. Then I will be done with my intense workouts for the week. I will be doing less impact workouts for the remainder of the week to keep my calorie burn up but nothing to traumatic for the joints so they will be ready for RACE DAY and for the hours of lounging on the beach! Just go ahead and get prepared because you will be hearing the phrase "RACE WEEK" a lot this week....'cause I love RACE WEEK!!!!!! !